It isn't always what it seems"
So many fantastic power ballads came out of the 80's but very few of them were duets. 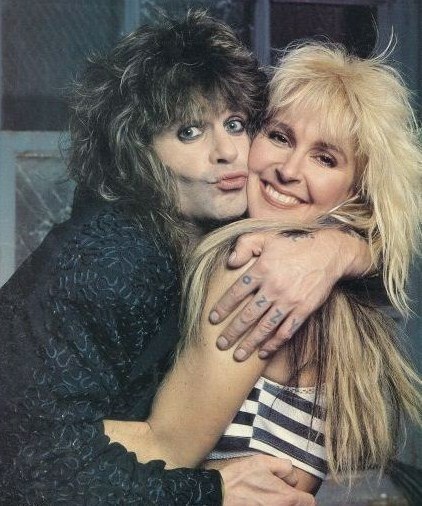 I think that by the time Ozzy Osbourne and Lita Ford released "Close My Eyes Forever" in 1988, we were more than ready for it. It was about as lyrically desperate and suicidal as it gets. The fact that these two wrote and recorded it smack in the middle of a night of partying is hardly a surprise either. Supposedly Sharon Osbourne had left them together and Ozzy and Lita's creativity went through the roof after getting really high. They both had dropped their walls and the song just totally fell into place. It's funny because this was a real crossover song for them. Even if you weren't a fan of hair bands or hard rock, you still probably loved this song. I think the best hard rock of the 80's ultimately ended up being the stuff that has never felt dated. "Close My Eyes Forever" is for sure one of those classics. Check out the video below. Do you think that this is Ozzy and Lita at their best?